That Istanbul has a full record in pictures of its last years as an imperial capital is thanks to two painters: the Italian court painter Fauso Zonaro and the Caliph Abdülmecid, who, because of the political turmoil of those years, died in exile. That Istanbul has a full record in pictures of its last years as an imperial capital is thanks to two painters: the Italian court painter Fausto Zonaro and the Caliph Abdülmecid, who, because of the political turmoil of those years, died in exile. The most intelligent and cultivated prince of the Ottoman dynasty, he was a frequent visitor to Zonaro’s studio and one of his greatest admirers. They shared many friends, such as the archaeologist and artist Osman Hamdi Bey and the politician and soldier Enver Pasha, and both supported the Young Turk revolution. Born in 1868, a son of Sultan Abdülaziz (1861–1876), and first cousin of Sultan Abdülhamid, Abdülmecid had received an education in both traditional Ottoman and modern French cultures at the princes’ school in Yıldız Palace. In 1895, on the death of the previous owner, the ex-Khedive Ismail of Egypt, Sultan Abdülhamit bought for his first cousin Abdülmecid an estate below the isolated, wooded Çamlıca Hill, on the Asian side of the Bosphorus. It was, by intention, far from Istanbul and Yıldız, and there the kiosk that bears Abdülmecid’s name was constructed. The kiosk’s architecture and decoration mirror the cosmopolitan character of Istanbul. The architect, Alexandre Vallaury – born in Istanbul in 1850, the son of an Italian baker – had studied at the Ecole des Beaux-Arts in Paris. He subsequently became the most fashionable architect in Istanbul and taught generations of Turkish architects at the Academy of Fine Arts, founded in 1883. The kiosk is an imposing two-storey wooden structure, built in the shape of a Maltese cross and resting on a stone basement. 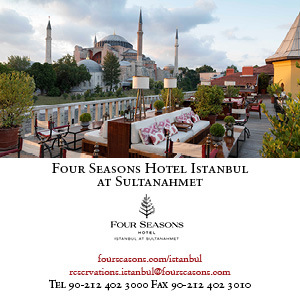 It is a nineteenth-century reinterpretation of traditional Ottoman designs and motifs. Its external decoration of neo-Ottoman and neo-Moorish polychrome painted panels of flowers and arabesques gives it an unusual and colourful appearance. The decoration was repeated on the inside, with neo-Mameluke arches and columns and brightly coloured Ottoman tiles on the walls. The tiles are from the workshop of Mehmet Emin, who pioneered the revival of the manufacture of traditional Turkish tiles at Kütahya – a sign of a growing pride in Turkish culture in the late Ottoman Empire. The interior, too, was a sumptuous blend of East and West. Modern chairs, sculpture and a grand piano were placed alongside neo-Islamic inlaid furniture, a Koran stand and an arabesque-style chandelier designed by Abdülmecit himself. In the garden, in accordance with Ottoman tradition, there was a separate building where the family and the women of the household slept. This, along with other auxiliary buildings, has now disappeared. The family used to walk through the park, gardens and orchard to spend the day in the kiosk. The grounds were surrounded by a high wall. The imposing principal gate, designed by Abdülmecit, bears the inscription “There is no victor but God”. Abdülmecid’s kiosk was, however, almost as much of a prison as princes’ apartments had in the past been in Topkapı. His cousin, Abdülhamid, autocratic and suspicious, forbade him to visit Istanbul. In his years of enforced leisure Abdülmecit wrote poetry, practised calligraphy, read the works of Victor Hugo and cultivated his garden. He boasted that the goldfish in his pools could recognise the sound of his voice when he came to feed them. At once cosmopolitan and patriotic, he learnt to speak French and German almost as well as Ottoman Turkish and Persian. Painting was another favourite occupation. He had a studio in his kiosk and took lessons from a favourite of Abdülhamid, the director of Imperial museums and Ottoman orientalist Osman Hamdi Bey. 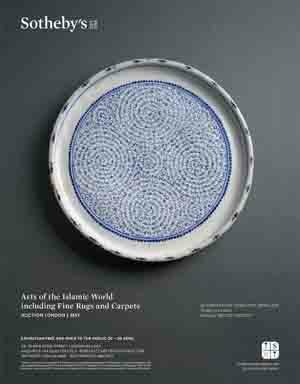 An admirer of both the Western paintings and the Ottoman calligraphy panels hanging in Ottoman palaces, he was able to paint in both styles. Surviving works include pictures of zeybeks, the village guards who protected the mountain passes on the Aegean; a palace coffee server; Sultans Selim I, Murat IV, Selim III and Mahmut II; and his own father, Abdülaziz, on a white horse. 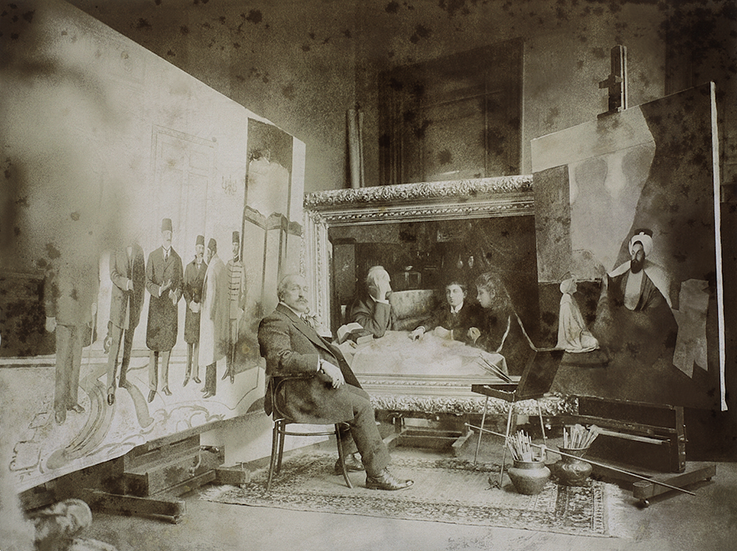 Though Abdülmecid was not a professional painter – in some pictures the hands are mere lumps – he none the less painted with vigour. Moreover, his pictures are historical documents, reflecting the educated elite’s interest in both Turkish and French cultures. Correct trimming of the stem is the vital first step. Instead of chopping off the hard stem caps, one should trim it into a cone shape, so that the pod then looks like a sharpened pencil and the juices remain trapped inside. For boldness, colour and virtuosity nothing can compare with the golden age of the Ottoman kaftan. After months of conservation work to ensure that they could travel safely, the Topkapı lent the Sackler dozens of its mesmerising royal kaftans. And Where Shall We Begin? Maureen Freely looks back on the life of the architectural historian Godfrey Goodwin, who died aged 84.